It is truly mind boggling that an entire Indian City, the largest prehistoric Indian site north of Mexico, was located near Collinsville, Illinois. The site covered 4,000 acres and included at least 120 Mounds. 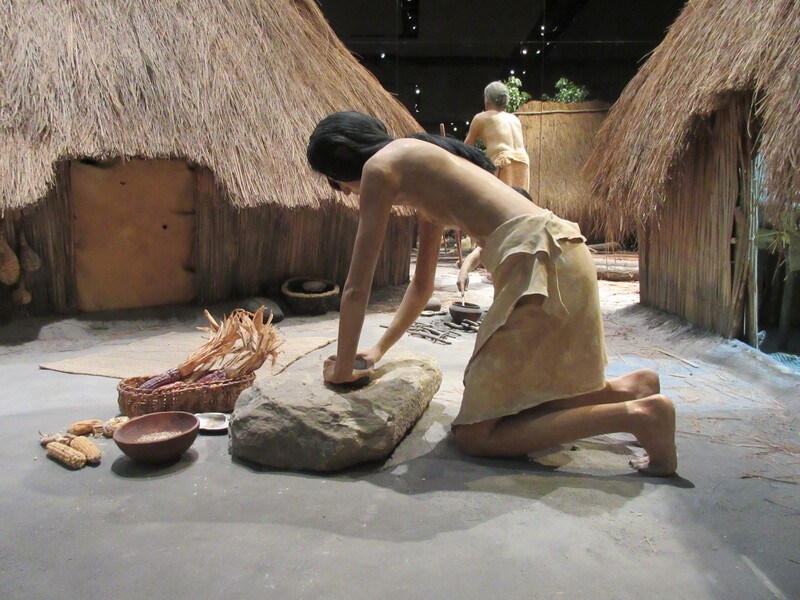 Although today the remains of what was and the mystery of why they left are things we wonder about, visitors can come to Cahokia and learn about these Mississippian Indians through the museum and Interpretative center. The mound was named for the nearby French Trappist monks. The mounds were built using soil from “borrow pits” dug with stone and wood tools. The earth was then moved in baskets on their backs. Some of the mounds had a flat top for ceremonial villages and residences for the elite. The conical and ridge top mounds were often used as burial grounds for the important people or as location markers. Over 120 mounds were built over time, and most of the mounds were enlarged several times. Houses were arranged in rows and around open plazas, and vast agricultural fields lay outside the city. The name Cahokia came from later Indians related to the Illini tribes. The site has been an amazing archeological site worth visiting. This is a history every Illinois resident should know about. Sadly there is probably more not known about the Indians that inhabited Cahokia than there is known. Over time hopefully some of the questions will be answered. For now though, what happened to end the Cahokians and their city is a mystery. Educated guesses are that there was a depletion of resources that probably contributed to the city’s decline. But for now, we only have the mounds and the artifacts they left behind to base our knowledge of this once great nation.